Let me ask you a quick question: How much time do you spend on confusing or hard-to-navigate websites? Whether it’s online shopping or registering for a webinar, my guess is not much. You might give it a try, and if the website is too complex, you’ll probably close out of it and never try to use it again. When information and logistics are right at our fingertips, we expect quick results and have almost no patience with complicated websites. The same thing is true for event websites. If you want to reduce your event head count, make the registration experience as annoying as possible. The more difficulty your attendees have with the online registration platform, the bigger your chances are of having a poorly attended event. As an event professional, it’s your duty to make the registration threshold as low as possible. Do you know the exact steps your potential guests must take to register for the event? Are you sure there’s no uncertainty or technical issues during the process? Let’s say your potential attendees will receive an email invitation with a link, which brings them to the event’s website. Can they find the registration form easily on your website? Do you provide the pricing plans, any applicable discounts, and all other information in a comprehensive and easy-to-assimilate way? Are the questions easy to answer, and is the entire process not overly time-consuming? All of these questions are important to evaluate whether or not the registration journey is user-friendly. It’s your job to make each step as simple and pain-free as possible. There are certain “phases” when registering for an event. The first phase is identifying the registration form on the website. The second phase is the form’s structure. This includes general information, attendees’ professional interests or achievements, and networking preferences (if applicable). The third phase is the payment procedure. Considering this sequence, you may want to display the attendee’s progress level during the registration process (such as showing a percentage of how much of the form he or she has completed during each step, or numbering each step of the form). This will help him or her navigate the procedure better. Do you know what’s more frustrating than submitting a registration form and getting a denied notification? Trying to submit a form and seeing some of the fields highlighted as erroneous without a proper explanation. What do future attendees need to change or add to the form so it will submit correctly? Make sure you foresee any problems potential guests may have when filling in the form, and offer a detailed explanation or generic examples of what certain fields must contain. If you know the names and emails of those who only partially completed the form, don’t hesitate to send them a reminder. You could ask them if they have any questions or need help with the form, and that you would be happy to assist. To make this possible, before accessing the registration form, you could ask the future attendees to confirm their names and emails. This will give you the necessary information to follow up in case someone didn’t complete the procedure. If people decide to register halfway and finish later, can they save their registration progress? Imagine someone starts to fill out part of a long, complex registration form (which, by the way, is not recommended), but because of time constraints, needs to finish it up later. But when that person opens the form again, none of the previous information saved, and now he or she must start over. Only people who are very excited to attend your event will push aside their frustration and restart the process. Make sure the registration form will “recognize” a user who wants to register. This may greatly impact the attendance rate. If, for example, you’ve sent an invitation email to someone who’s already attended one of your events, make sure the system will identify that user (once he or she has clicked on registration), and offer a form with certain prefilled fields (such as name, email address, etc.). Your online registration procedure carries more weight than you may realize. If people find it confusing or difficult to register for your event, most won’t bother, and you’ll miss out on some quality attendees. Reduce any possible friction a potential attendee may have with the registration system. This will minimize the frustration level and help the person to successfully complete the procedure, which, in turn, will highlight your professionalism and ensure your event has a high attendance rate. 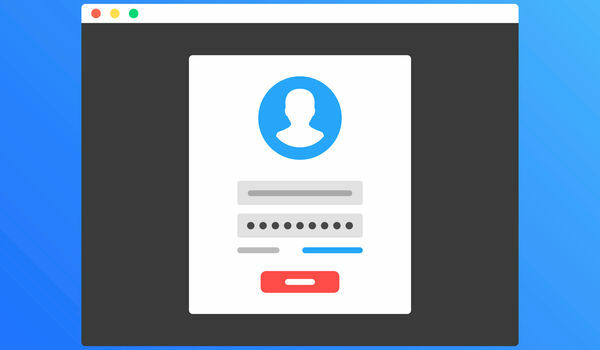 Delivering a hassle-free registration platform is quite challenging as you have to meet many requirements and at the same time provide a user-friendly experience to the attendees. Hubilo is one such amazing brand which fulfils all these things and provides convenient event registration solution.